Bland, but reliable, that’s the safe, secure reputation that has up until now seen this model grace rental car lots up and down the country. 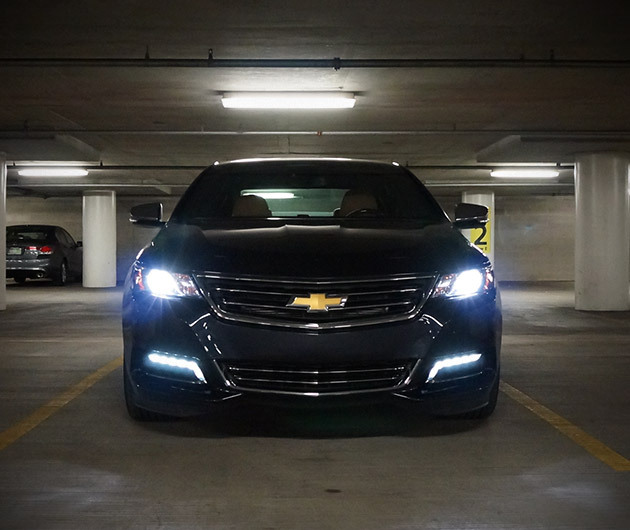 Indeed, so well engraved is the conservative image, GM is certainly facing an uphill battle to alter public perception, but riding on the wheels of this all-new 2014 Chevrolet Impala we're confident they’ll manage it just fine. 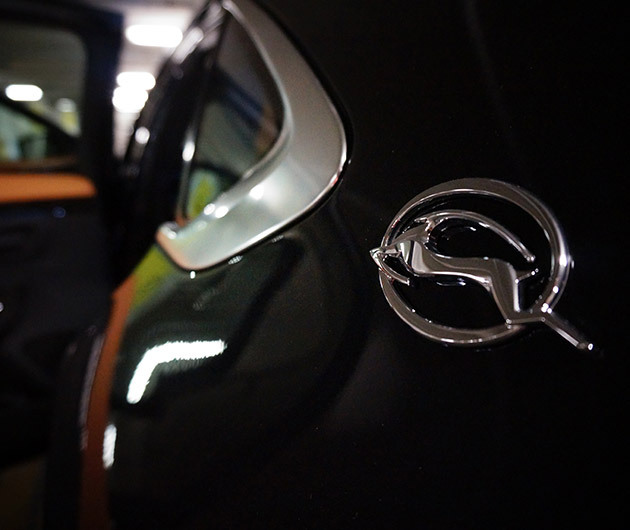 Their flagship automobile has been redesigned from top to bottom and from inside to out. Boy, have they gone to town. Gone are the unimaginative, uninspired and frankly uninspiring looks to be replaced by something, classy elegant and seductive that means you’ll no longer look like a travelling salesman or as though you’re on a dull business trip at the expense of a rather frugal boss. The front end of this tenth-gen beast is distinctive, athletic and angular, and the back, too, has been modernized. From the side, the profile offers depth and sharp, characterized lines. Engine choices range from the base 195-hp 2.5-liter Ecotec up to our tester – a thunderous 3.6-liter V6 that delivers a horsepower rating of 305. The six-speed automatic transmission was smooth and effortless, noticeably improving our mpg which stood at 18 in the city and 27 stretching our legs out on the highway. 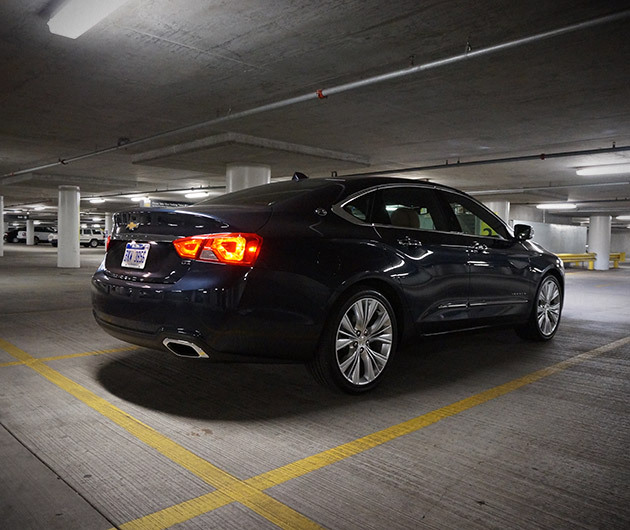 The Impala certainly handles corners extremely well for a full-sized sedan, boasting a well-controlled body roll, but if you’re looking for a sporty driving experience, this isn’t it. This car is highly comfortable, the ultimate cruiser for those long and monotonous drives. 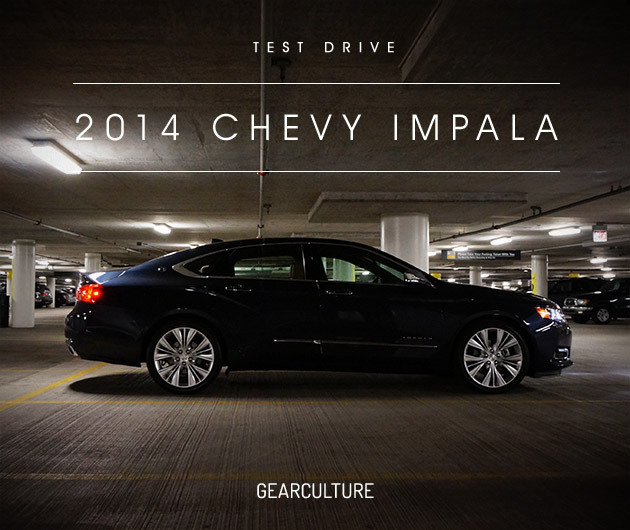 The V6 offers ample grunt and the electric power steering is light but direct and responsive. A sporty aspect can be found in the molded design of the cabin, however, which has been decked out in high-end materials that look and feel great. Plus there’s plenty of room in there too. The dual cockpit is in fact Corvette-inspired, boasting stitched and perforated leather, wood accents and mood lighting. 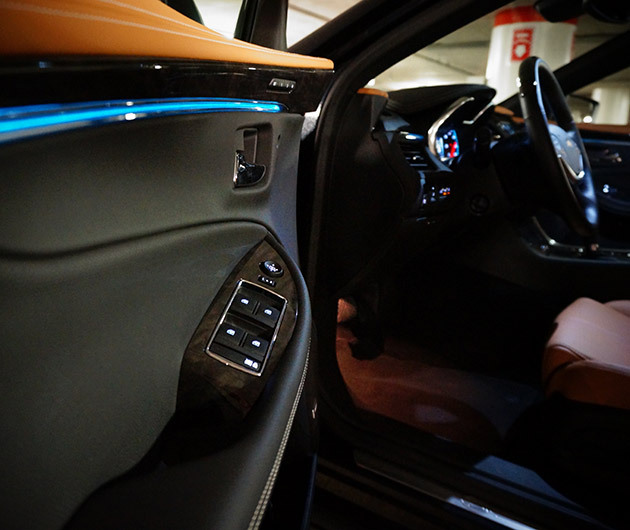 The dash extends all the way to the front doors, wrapping around driver and passenger for a more organic vibe. All somewhat let down by cheap plastic side panels for the center cubby, which is a shame. 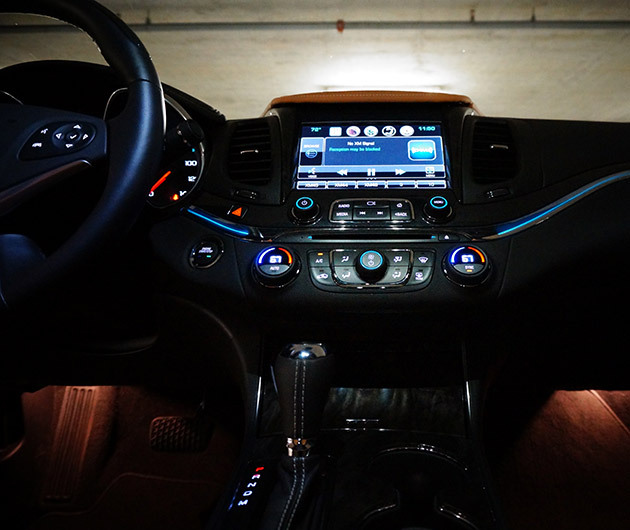 For the technophobes there’s bags of stuff, including an 8-inch touchscreen on the center console that runs Chevy’s MyLink infotainment system – that’s standard with LT trims and upwards. Safety features include forward collision alert, rear cross traffic alert, lane departure warning, side blind zone alert and a backup camera with park assist among others. To conclude, there are a couple of gripes, but nothing to get worked up over, and kudos to Chevy for what they’ve produced here. The Impala is now a desirable ride, luxurious and teeming with technology and safety specs to ensure you and your family are kept safe. So go on, give it another chance. You won’t regret it, we promise.